As a parent, your child’s diet is something that may take a lot of your attention. If your child goes to childcare, it’s important to start thinking about the food they consume there. 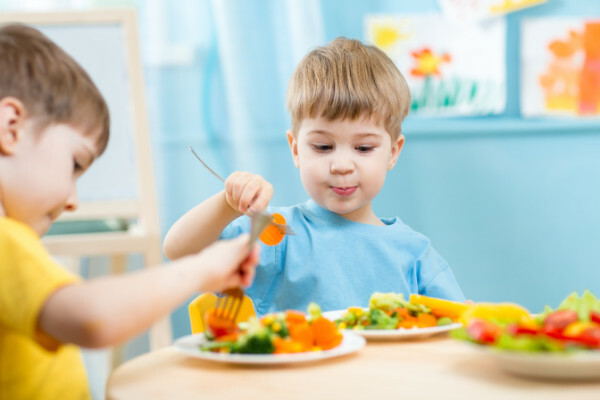 Many childcare services (especially long day care centres) include meals in their childcare fees and daily program, usually including lunch and snacks. These meals form a significant part of your child’s overall diet. Plus, childcare plays a major role in teaching your child healthy eating habits. If you’re in the process of finding childcare, keep this in mind when you do your research. It’s crucial that childcare centres supply food that meets your child’s nutritional needs. Your centre’s menus should consist of different types of food, such as vegetables, fruits, cereals, lean meat, fish, chicken, milk, yoghurt, and cheese. To ensure your child’s getting a good balance of these food groups, your centre will ideally have rotating menus, generally on a four-week cycle. Australian Dietary Guidelines recommend that young children limit intake of foods and drinks which contain added sugars such as confectionary, sugar-sweetened soft drinks, cordials, and fruit drinks. So check to ensure that these types of food and drinks are not part of your childcare’s menu. An enjoyable mealtime experience can positively shape your child’s future eating habits. Children learn by watching others, so your child’s educators should role-model good eating practices by sitting and sharing meals with the children. If your child is fussy with food, it’s a good idea to ask the centre what their approach is when dealing with fussy eaters. Force-feeding children should not be encouraged, as it upsets children and can cause negative association towards mealtimes. If you are still breastfeeding and wish to keep doing so when your bub is in care, your childcare should provide all the support you need. Most childcare centres have refrigerator facilities to store your expressed breast milk, and they should also allow you to come in throughout the day to feed your baby. If in any case your childcare discourages you from providing breast milk to your child, this is a big red flag. All childcare providers should respect your decision as a parent when it comes to breastfeeding. 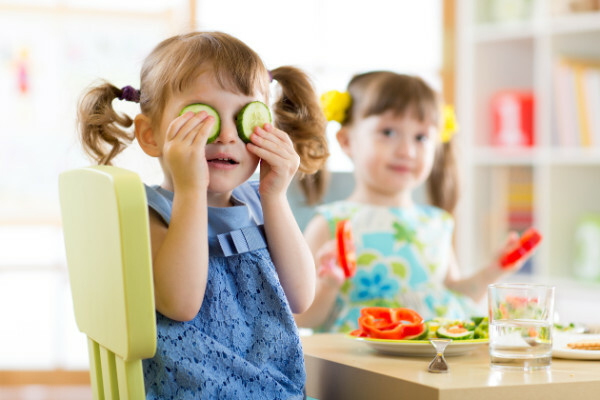 If your child has special dietary requirements (either due to allergies, cultural background, or a medical condition), you need to let your childcare provider know of these requirements when you enrol, as they’ll need to arrange alternative meals that best suit your child’s needs. If your child has a severe food allergy that can be life-threatening, your childcare should work collaboratively with you in developing action plans and ensuring your child’s health needs are supported. Check and familiarise yourself with your centre’s policy on the relevant topic to keep your mind at ease. If your centre doesn’t provide meals and you have to bring your own, be mindful of the following when planning meals to pack for your little ones: Check the centre’s policy on food brought from home, as many centres implement “nut-free” policy; Not all childcare centres have a microwave facility, which means you’ll need to ensure the meals you prepare won’t need reheating.